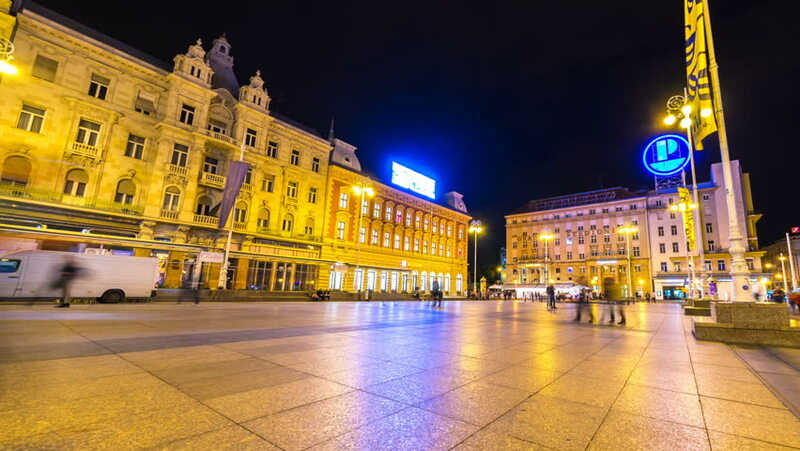 ZAGREB, CROATIA - JULY 12: Time-lapse view on the historic centre of the city as pedestrians and traffic pass by on the main square at night on July 12, 2017 in Zagreb, Croatia. 4k00:15ZAGREB, CROATIA - JULY 12: Time-lapse view on the historic centre of the city as pedestrians and traffic pass by on the main square at night on July 12, 2017 in Zagreb, Croatia. hd00:15ZAGREB, CROATIA - JULY 12: Time-lapse view on the historic centre of the city as pedestrians and traffic pass by on the main square at night on July 12, 2017 in Zagreb, Croatia. 4k00:08MILAN, ITALY - MAY 18 2018: night illuminated milan city traffic street crossroad rotating panorama 4k timelapse circa may 18 2018 milan, italy. 4k00:05BUDAPEST, HUNGARY - DECEMBER 08: Timelapse view on nightly traffic at the Astoria Square on December 08, 2015 in Budapest, Hungary. 4k00:12Zaragoza, Spain - May, 2017: Timelapse of Avenida de Cesar Augusto, at night.